You can import the sample data in two different ways, in one click or manually. First, check that all the plugins are activated on your site according to the demo you want to import, for that, check below. Follow the steps below to install a demo in one click. First, make sure that all the plugins in the demo you want to import are activated. Click on the demo you want import, a popup will appear. 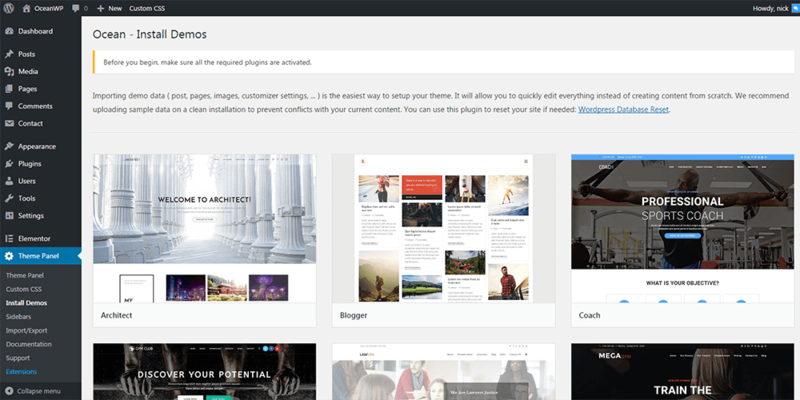 If you have chosen to import a demo with a shop, do not forget to regenerate your images with the Regenerate Thumbnails plugin so that all WooCommerce images are the right size. 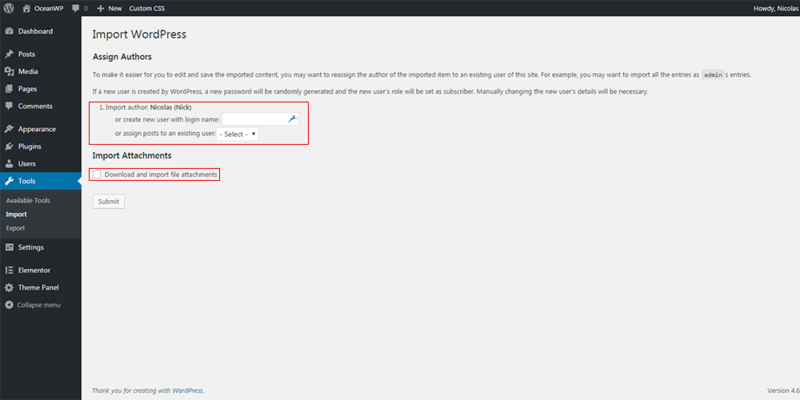 If you import a demo with a background image, you will see that there is no image selected in General Options > General Styling, so if you want to change it just add your own image, but if you want to remove it, select an image, click Save, remove the image and click Save again. Note: If you are importing a demo where there is a shop, activate the WooCommerce plugin and click on the Not Right Now button if it is the first time you activate the plugin on your site or delete the pages created by this plugin (Shop, Cart, Checkout, etc...) because its pages are imported and assigned automatically. 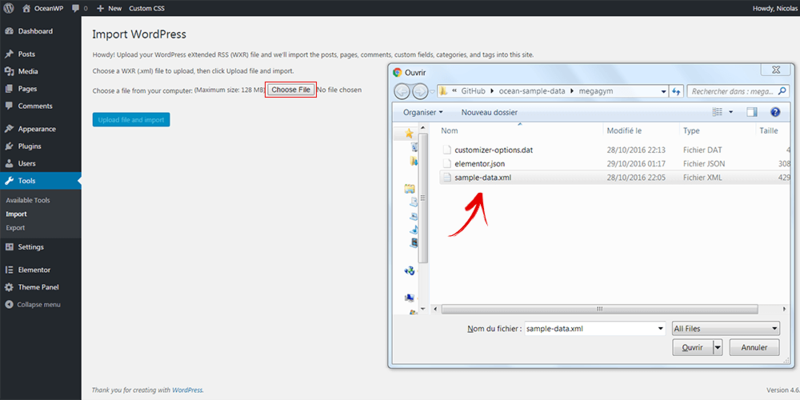 If you can not install the sample data using the One-Click import or you want to do so manually, follow the steps below. Go to Theme Panel > Install Demos, click the demo you want to import and install all the required plugins.. The first step is to download the sample data which we have hosted on Github not only for easy/quick access but also so if you want you can follow the repository and get notified when changes are made to the Sample Data. 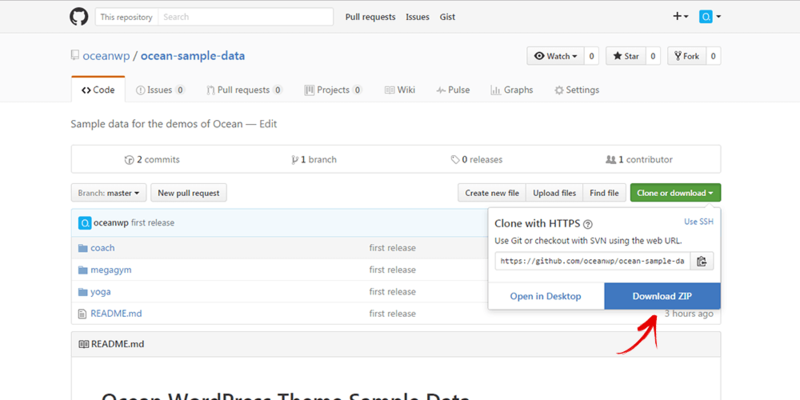 Click the link below to access the repository and then click Clone or download > Download Zip to download the sample data. 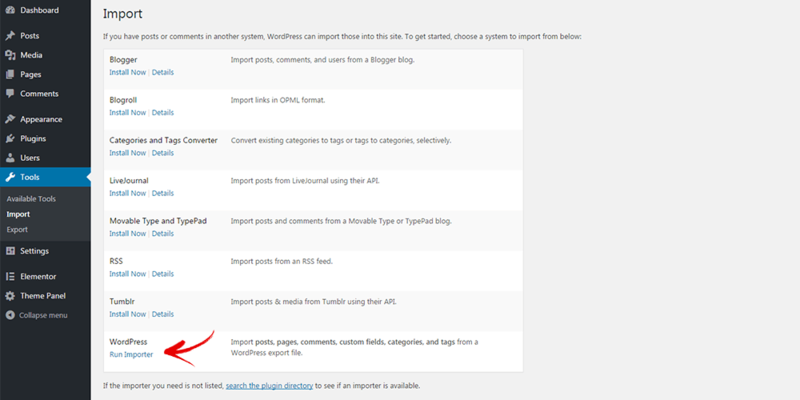 The importer will give you the option to either import our demo user, or to assign the posts to an existing user on your WordPress site. We recommend that you assign the posts to an existing user (ideally your user account, since you are the one working on the website). You’ll also see an option to import file attachments. Check this box only if you want to import all of the image and media files included in our demo. Most of the demos have specific options defined for the demo. So be sure to import the customizer options as well. These are located in the "oceanwp-export.json" file for the specified demo in the sample data files – example. If it is not activated, install and activate the Ocean Extra plugin. Go to Theme Panel > Import/Export tab. 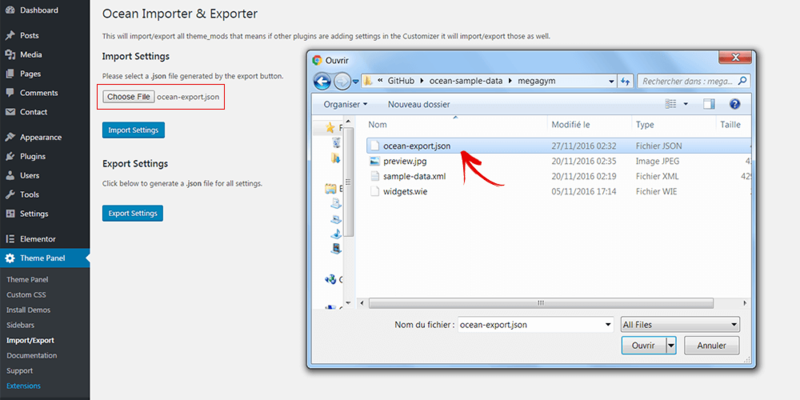 Click on choose file and select the oceanwp-export.json file of the demo you want import. It is very easy to import widgets. First, install and activate the free plugin Widget Importer & Exporter, then click Tools > Widget Importer & Exporter and import the widgets.wie file of the demo you want to import. Go to Appearance > Menu to set your menu locations.